Can the ex-state and international sports personalities please stop complaining about not being given due recognition and start involving themselves in effective programmes that will help elevate sports in this country? They have set up several organisations but all they seem interested in are trips, friendly games and gatherings. So, why continue to gripe that they are not being utilised in the management of the various sports bodies or as coaches? True, some of them are actively coaching but they make many compromises and stray far from their principles just to keep their jobs, stay in the market or remain in the good books of the sports associations. Yet, in their own circles, they talk about how unfairly they have been treated or how they have been passed over in favour of less qualified foreigners. Very few of them dare to air their grievances. Maybe, these veterans should take their cue from the Football Coaches Association of Malaysia (FCAM) under current president B. Sathianathan, which is very vocal and whose views are sought by the FA of Malaysia. Established in 1994, FCAM not only takes care of its coaches but also gives voice to issues it feels strongly about. At the same time, there are bodies like the Malaysian Olympian Association (MOA), which has been de-registered and, under a pro-tem committee, is in the final stage of re-registering itself. MOA has about 300 Olympians from the 1956 Melbourne Olympics to the 2012 London Olympics, who can make a huge difference to sports in Malaysia if they set their mind to it. Then, we have the Ex-State and Ex-National Footballers Association of Malaysia, which almost suffered the same fate as MOA but survived the chop. 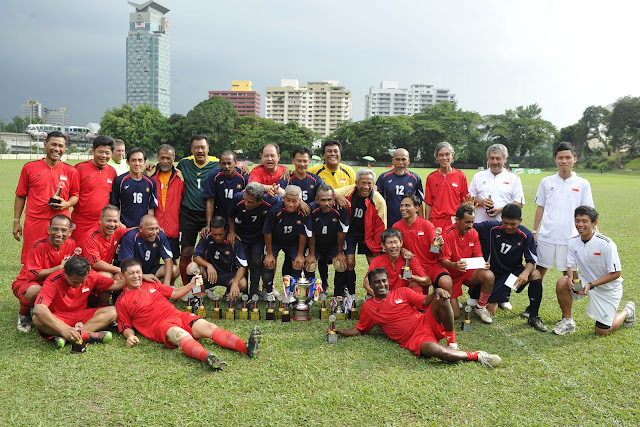 Under the leadership of previous president Lee Soon Huat, it organised a meaningful event in 2011 – its inaugural 1st Malaysia Day Ex-internationals/State Invitational Football 9s – to raise funds for the welfare of its members, scholarships for the children of its members and to organise development programmes and football clinics. While the tournament was a success with eight state teams and four foreign teams from Australia, Singapore, Thailand and Brunei competing, it died a natural death. This came as no surprise as the members of the association hardly assisted in raising funds for the tournament because it was organised for them, from A to Z, by an events management company. The tournament, which culminated in a gala dinner for 400 sports personalities, was a success but the association shortchanged the organiser on fees. More recently, the said association had a windfall when Astro, through a golf tournament and the support of sponsors Hai Soon Holdings, Waz Lian Group of Companies, Huls Engineering Sdn Bhd, AmBank Bhd and Qi Group of Companies, donated RM200,000 to it. One would have thought that with such funds, it would have started some meaningful sports programmes, but, no, the members were more interested in overseas trips. Then, we have Friendship, which was initiated by Bob Vivegandran, a coach from Penang, on WhatsApp for ex-state and international players and coaches. Last week, it organised its first event – a friendly football match against the Perak Menteri Besar’s selection team in Ipoh. 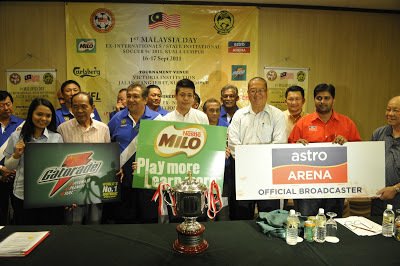 There was a good turnout, including many of the who’s who of Malaysian football. Sadly, no effort was made to publicise the event. Publicity would have definitely raised the profile of the group. Above all, Friendship did not think of organising a coaching clinic before the start of the friendly game, which would have been a lifetime experience for many of the youth in Ipoh. Imagine being coached by prominent past Malaysian players. This group is very vocal in its chat space but dare not make its opinions known in public. As long as we have ex-state and international players who fear to speak the truth about the state of sports in this country and who will not fight for their rights or expose foreign coaches who are taking Malaysians for a ride, they might as well not exist. To be relevant, they could, for starters, distribute their member list to the respective sports associations at state or national level, state schools sports councils or state sports councils for their services to be fully utilised. If they became involved in schools, coaching their respective disciplines, at least we will have strong foundations at grassroots level. Of course, these coaches need to be remunerated, at least for their time and petrol money. But it will be money well spent with the future of sports in mind. These experienced ex-international bodies should seriously consider rendering their services or working closely with the SportsExcel – the foundation in place for 25 years for Malaysian sporting excellence in organising junior circuits for 12 sports. So, the sooner the associations of our ex-sports personalities got their act together, the better it would be for Malaysian sports. It is pointless to lament that they are being marginalised when they are doing nothing to make an impact.